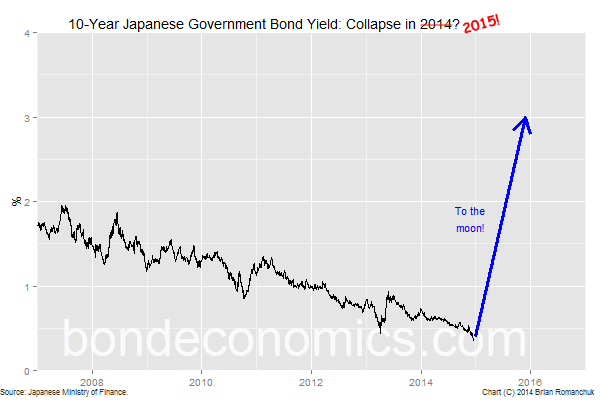 Bond Economics: Will 2015 Be "The Big One" For JGB's? Will 2015 Be "The Big One" For JGB's? Well, 2014 was not a banner year for JGB bears. But based on the theory that things can only get better, it is looking like 2015 could be the year that the great JGB collapse starts. Stay tuned! Happy New Year from bondeconomics.com!